KIITEE 2019 Admission Notification released on 16 November 2018 by the Kalinga University. Further, it is also known as Kalinga Institute of Industrial Technology (KIIT). Also, this university holds its own entrance examination i.e. KIITEE. It is a common entrance exam for numerous undergraduate and postgraduate courses offered by this university. Applicants can apply for it till 31 March 2019. Moreover, candidates qualifying this examination with a score above cutoff marks can avail a seat in the university. The Exam Dates is released by KIIT University i.e. 15 – 24 April 2019. It offers candidates admissions in their preferred graduate and undergraduate courses. KIITEE will take place in 120 centres across India. Also, the application form will be available in the month of December 2018. Candidates must check their eligibility before taking a step towards the application form. After ensuring that they fulfil every eligibility requirement, they should apply. KIITEE 2019 Exam is an online computer based examination. The Applicants birthday should lie on or after June 1996. And Candidates must be Indian nationalists. Also, Candidates must have secured marks not less than 60% in their class 12th. The Dates are announced by KIIT University, Bhubaneswar. These are the dates. Then, the filling of application form is online mode only. 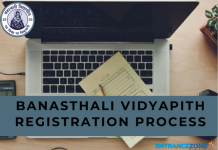 The admit card would be available online. Candidates have to themselves check the official website and download their allotted admit card. Although, the exam dates are 15 – 24 April 2019. The examination is a computer (online) based exam. 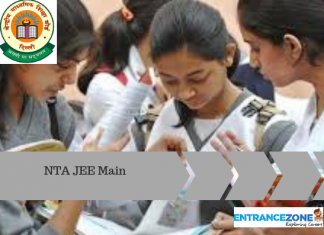 Results will be available by KIIT on their official site. 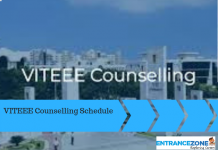 Counselling dates will be announced by KIIT & will be different for candidates. Stay tuned to this website for all the updates regarding KIITEE 2019 Admission Notification. 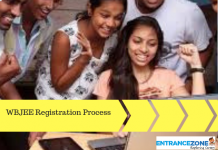 kiitee application form 2019, kiit admission 2019, kiitee fees structure 2019, kiitee login, kiitee 2019 exam date, kiitee 2019 application form fee, kiit form 2019, kiit university courses, kiit entrance exam 2019, kiitee 2019 login, kiit admission 2018, kiit application form 2019 for btech. 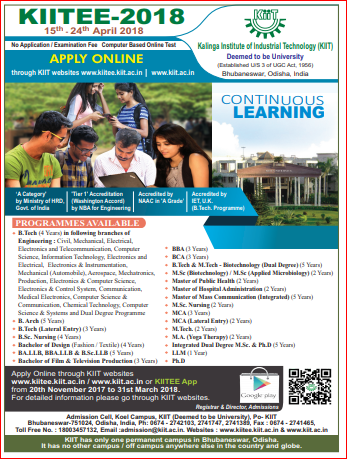 Is KIIT approved by AICTE?